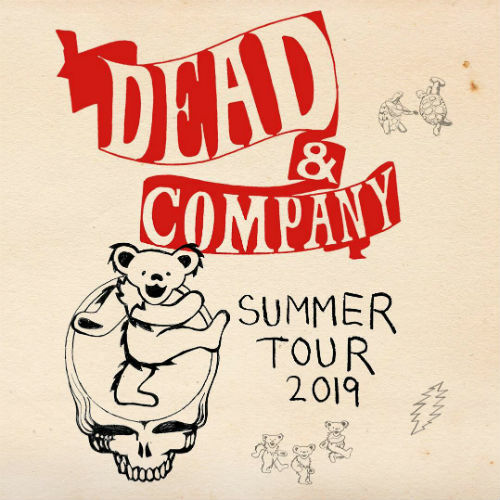 Dead & Company have announced summer 2019 tour dates for North America. For those who aren't familiar with the group, the Grateful Dead offshoot started in the aftermath of the 50th anniversary concerts of 2015 with core Grateful Dead members Bob Weir, Mickey Hart, and Bob Kreutzmann, with John Mayer, Oteil Burbridge, and Jeff Chimenti. Over the past few years, they have played well over 100 concerts — mostly in stadiums and arenas. 2019 will start with the group's Playing In The Sand festival in Mexico, slated for mid-January. The summer tour is scheduled to begin in May, with multiple concerts in Mountain View, followed by a West Coast swing through Los Angeles and The Gorge before hitting several more cities in the Mid-West, Northeast, and South, before a 4th of July weekend stand in Colorado. Stay tuned, we will be updating this page if additional information becomes available. When do Dead & Company 2019 tour tickets go on sale and what is the presale code? The general public on-sale begins as early as December 8, 2018. Ticketmaster Verified Fan registration is currently open. Presales for Verified Fan begins on December 3. Citi cardmember, Live Nation, LN Mobile App, SiriusXM, and local venues / radio presales will follow. We recommend following Dead & Company on their social media accounts and signing up for their free email newsletter, in addition to checking your local venue’s social media and email subscription, to get the most up-to-date information. For more, check out the Dead & Company Zumic artist page.